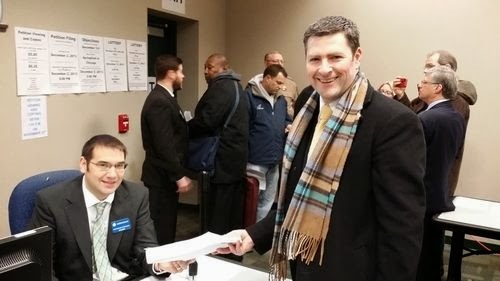 Peter Breen (who I think is trying to one of those 'Obama Hope'-ish things with this weird photo) has decided to take on 10 year incumbent Sandy Pihos for State Representative. Why? Because 'Washington just prints money when it runs out'. Seems like a good reason to waste everyone's time, money, and effort on an unnecessary GOP Primary. Let's help Sandy Pihos get re-elected. Let's hope that the House GOP Caucus will rally around one of their own and stand with Sandy, too!